The “Bodegas del Rosario” cooperative is the largest wine producer in the Bullas Denomination of Origin, and has been at the forefront of production in not only the municipality of Bullas, but also in the north-west of the Murcia region since it was the first venture of its kind to be founded in Bullas in 1950 by 37 individual producers. Bullas has a long wine-making tradition and there is evidence that wine was produced here 2,000 years ago when the Romans farmed this area, via the finds in various agricultural villa sites in the north-west of the region. One of the most important finds was a Roman sculptural set found in the villa of Los Cantos in Bullas associated with the four seasons and the agricultural tradition of the villa, amongst them one piece known as the "Niño de las Uvas", a figure of a small boy holding a large bunch of grapes, a figure clearly associated with wine production.This figure is honoured in one of the wines produced by this bodega, the excellent Niño de Las Uvas which is available as a fruity white 80% Macabeo-20% Malvasia blend aged in French oak for four months. This wine maintains a distinctly fruity note reminiscent of a young Riesling as the grapes are stripped from the stems by hand and the pips removed prior to fermentation during which the skin is maintained intact to focus on the flavour of the grape without the earthy tones of the woody stem distracting from the distinctive peachy-toned punch of the Macabeo .This wine was selected as the "Discovery White in the UK Wines from Spain awards in 2015. It's also available as a red, with 85% Monastrell and 15% Syrah, is also aged for four months in French oak and has won several accolades; Gold in the Berliner Wein Trophy 2014, Silver in CWSA 2015, Silver in the local VIII Certamen D.O. Bulals 2015, 89 points in the 2015 Wine Advocate and 91 points in the Guía Peñin 2016. The old quarter of the town is full of historic houses still containing the ceramic tinajas in their basements in which wine was stored and as technology started to favour larger-scale production methods several Bullas families became producers on a large scale. Another option is the Casa Museo Don Pepe Marsilla which also has a large intact bodega and is a fascinating insight into Bullas c1900. 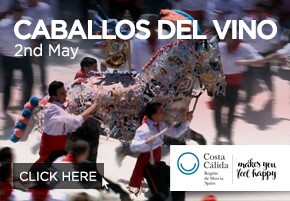 This can also be visited in conjunction with a visit to Bodegas del Rosario. The Bullas D.O was first established in 1994 and is now producing 2 to 2.5 million litres a year. Between 70 and 80% of the wine produced is bottled, and the remainder sold in bricks, bulk or via the litre from the co-operative shops, however the percentage of wine bottled is so high due to the fact that more than 50% of the wine produced in Bodegas del Rosario is exported. Surprisingly, one of the principal markets is another wine producing nation, Germany, and the USA and Japan are also important markets. Wines from the Bodega have been exported to many countries including the UK, much of Europe, China, Hong Kong, Russia and even Mexico. The Bodega is an attractive location to visit as production facilities are still housed in the original premises, allowing visitors to appreciate the history and traditions of wine-making in Bullas while at the same time permitting them to purchase from a wide and affordable range of some of the best known labels associated with the wines of the Region of Murcia. There are more than 300 individual members of the co-operative, with vinyards spread across not only Bullas, but also Ricote, Cehegín and Lorca. This gives rise to a wide range of conditions and climatical variations, so managing and monitoring the grapes grown by members on the different plots of land is no easy task, but it is an essential part of the job of ensuring that production is uniform and maintaining the high quality on which the reputation of Bodegas del Rosario is founded. Monastrell is the dominant grape variety in Bullas, and in fact this area is one of the most important for the strain in the world. 40% of Monastrell vineyards worldwide are in the Region of Murcia, and the area of around 5,000 hectares where they are cultivated in Bullas accounts for over 4% of all Monastrell vineyards on the planet. This is because the Monastrell is perfectly adapted to the soil and climate of the north-west of Murcia. However, while around 85% of the grapes delivered to Bodegas del Rosario are Monastrell, there are also numerous other varieties represented, including Tempranillo, Cabernet‐Sauvignon, Merlot and Syrah for red and rosé wines and Macabeo, Malvasía and Airén grapes for white wine production. 80 to 85% of the total production of Bodegas Rosario is red and 15 to 20% white, depending on climatical factors of each year. 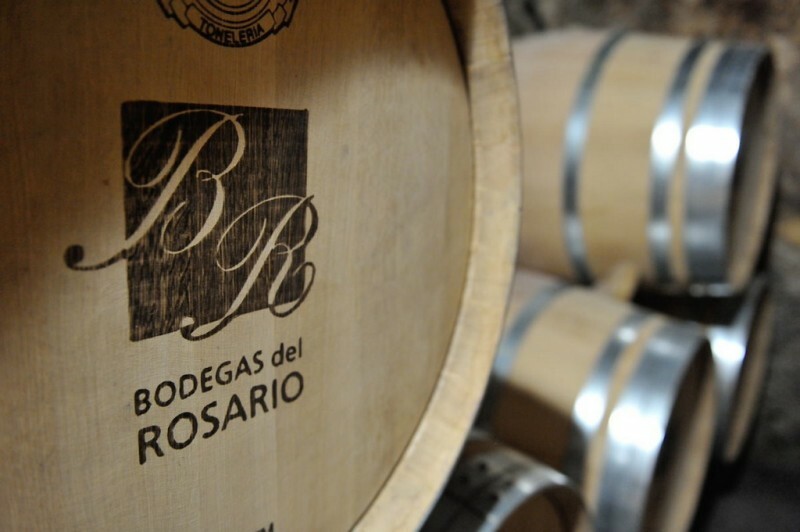 Attention to detail is an important element of the ethos of Bodegas del Rosario. This attention to detail begins way before the harvest, each parcel of vineyards numbered and plotted according to height, soil type, climatic conditions, variety and age of the vines, so that the health of the vines and devlopment of the crop can be monitored by enologist and agriculturalist. Prior to harvest samples from each parcel are tested in the labs of the co-operative to analyse acidity, sugar content etc and decide the harvest date to achieve optimum quality. Bunches are selected from the inside and the outside of the vine, from the top and the bottom, and then from different points within each bunch as grapes from the bottom of each bunch are slightly different from those in the middle and at the top, all of these nuances taken into account before the crop is harvested. Grapes are all picked by hand into 18 kilo caskets, which are then stored in a cold store at 4ºC for between 2 and 6 days, before undergoing a manual cleaning process on a sorting table to remove substandard grapes by hand. 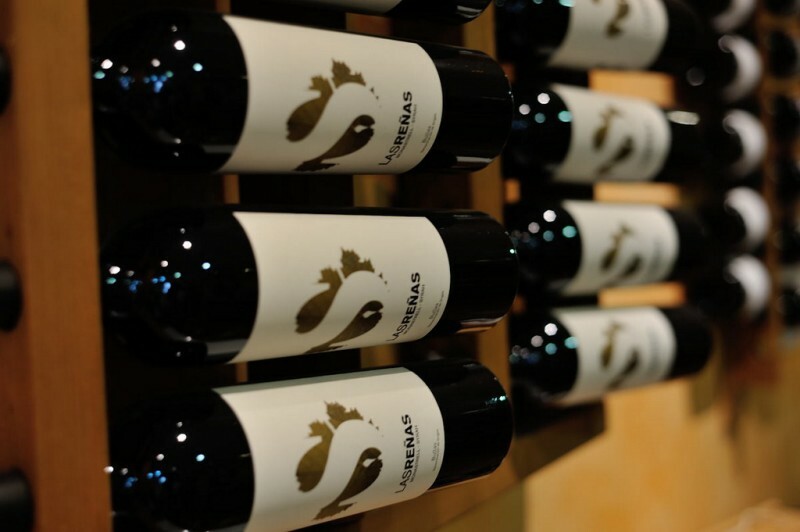 One of the fundamental tenets of Bodegas del Rosario is that the best grapes come from older vines, due to their having deeper roots and therefore better access to underground humidity which substantially alters the depth of the final product. The roots of the dominant Monastrell variety can reach a depth of up to 20 metres in plants which can live for over a century, and this reduces the risk of quality being affected by unusually wet or dry years. Much of the Monastrell stock is mature and is cultivated at between 500 and 1,000 metres above sea level, the soil predominantly calcerous and brown. Younger vines are also used, partly with an eye on future production, and experimentation is also undertaken to trial different vines, although few have the reliability and resistance of the Monastrell. Given that this is a wine-producing cooperative the tours of the facilities of Bodegas del Rosario do not feature a visit to picturesque vineyards, but more than ample compensation for this is provided by the fact that they are well organized, interesting and visually attractive, offering insights into not only how the wines of the cooperative are produced today but also the history and traditions of viniculture in the Bullas. 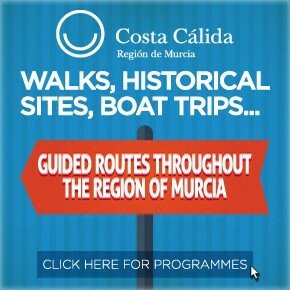 In addition, of course, they are easy to combine with a visit to the wine museum and the other main sights of Bullas, and the location is within a two-minute drive of the main motorway exit leading to the town. Visitors are shown the full production facility, from wine presses to the bottling plant, and can enjoy a tasting session in the main grand hall. One of the most interesting features of this hall is the decorated concrete tanks which line the walls, and these tanks in themselves, although they sound unglamorous, have an interesting story to tell. In the past, concrete was the preferred material for wine storage during the maturing process, but as production became more industrialized and more technological these tanks were phased out in favour of stainless steel containers. However, the hands of time are starting to swing back in time as more enologists resume the use of their old concrete containers which are now being brought back into use alongside their more modern counterparts in some areas. 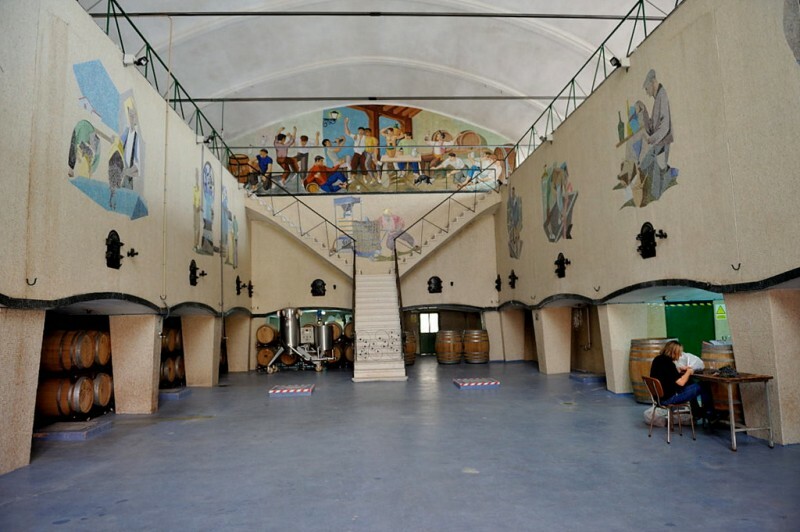 In the meantime, at the winery of Bodegas del Rosario they have been decorated with appropriate motifs, and the result is that while this is of course an industrial concern it is also an attractive place in which to welcome visitors. 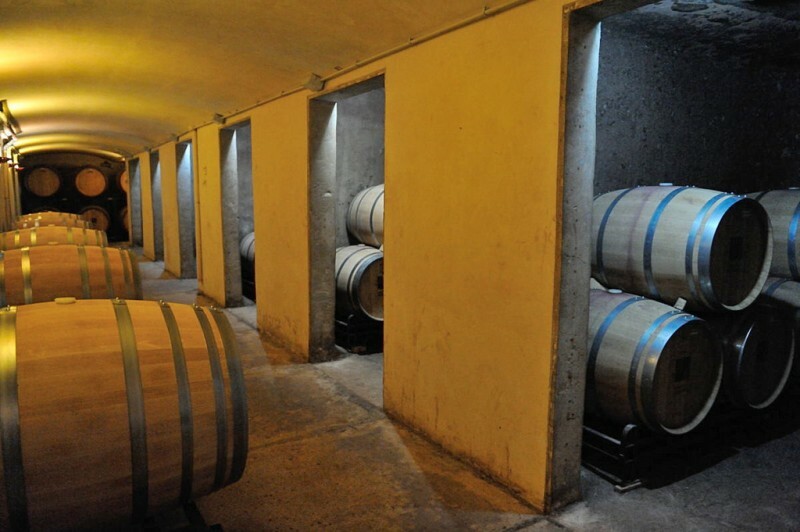 The tour also features a visit to the huge cellars in which barrels of wine are stored prior to bottling, as well as the bottling plant and the entire tour is well thought out and informative. As an added bonus, it is also available in English! 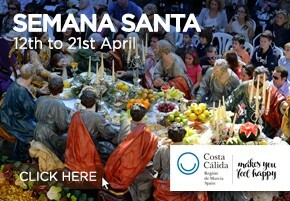 At the end of the visit, there is an opportunity to buy the wines made here, which range in price from around 2.50€ up to approximately 35€ per bottle, along with well-priced boxes of wine or wine loose from the barrel. Plastic containers can be purchased in which to transport your "loose" wine although most customers bring their own. Tours of the winery are available from Tuesday to Friday between 10.00 and 13.30 and on Saturdays and Sundays from 10.00 to 14.00. Bookings can be made from Monday to Friday (10.00 to 13.30 and 16.00 to 18.00) or on weekend mornings (10.00 to 13.00) by telephone on 968 652075. The shop premises can be visited at any time during the opening hours to purchase wine without a tour. 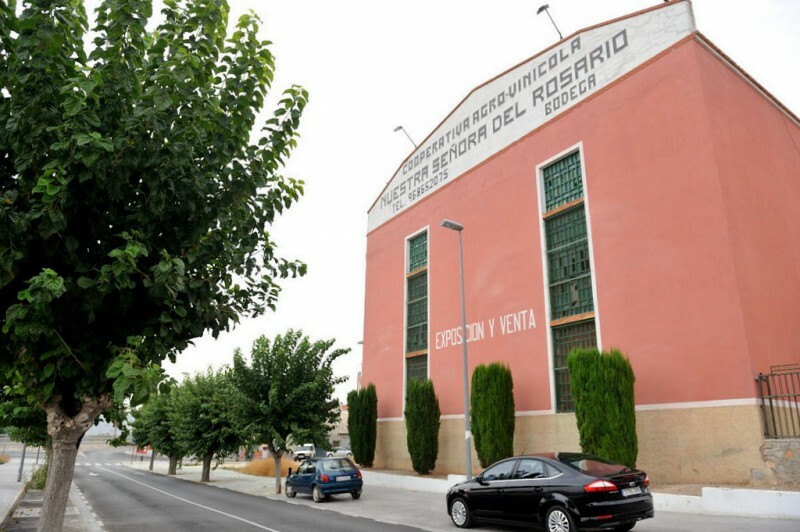 The main premises of Bodegas del Rosario are situated behind the Carretera de la Copa, close to the Museo del Vino (the wine museum of Bullas). 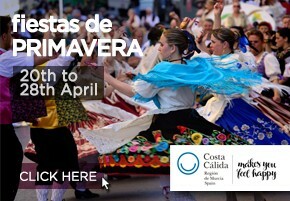 Those approaching from the regional capital should leave the RM-15 motorway at kilometre 41 and head towards the town centre, crossing underneath the motorway before turning right on Calle Estación. At the end of this road a left turn is required to reach the entrance to the winery. The company’s wine shop in the centre of Bullas is located at Avenida de Murcia nº 4, just a few metres from the Plaza de España, the Town Hall and the main church.